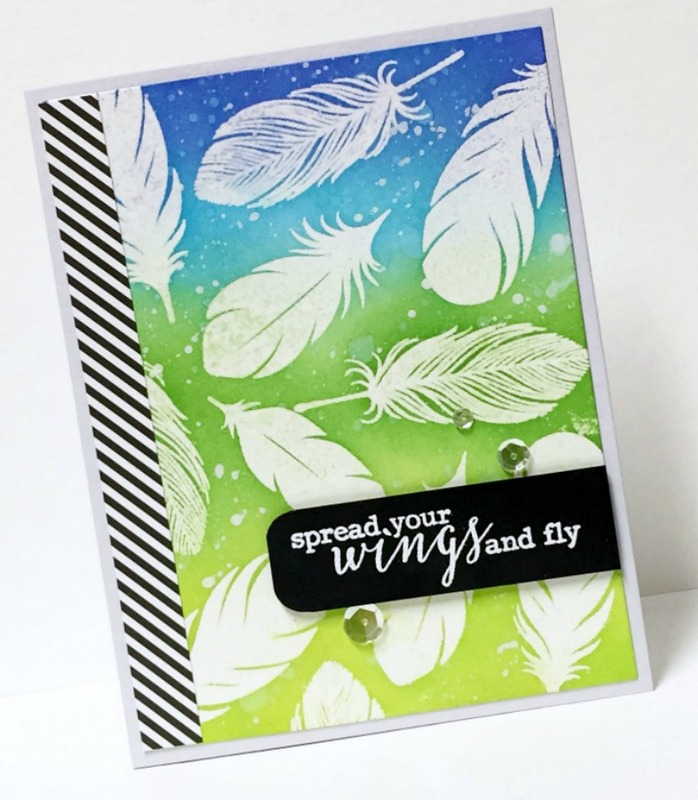 the challenge is to ADD A SENTIMENT and the featured company is Clearly Besotted. you have them, we'd love to see them on your projects! green and blue distress inks then spattered water and white paint. and popped it up on the card. Clear sequins finished off the card. The prize is a $50 gift voucher to the Simon Says Stamp store. Come and join the challenge and we hope to see you in the gallery! I love these blues and greens - they give me hope for spring, Donna! Beautiful work, as always. Stunning card Donna! 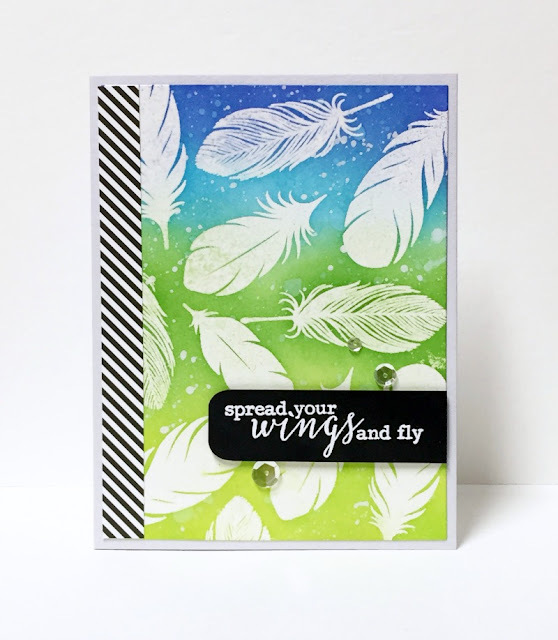 That background with the feathers is fabulous! So pretty!